This weekend I returned home from NYC where I was visiting my family for Thanksgiving and I came home to a huge surprise! As you can guess by this blog's title, my boyfriend proposed to me! I was so surprised and of course excited and extremely happy! 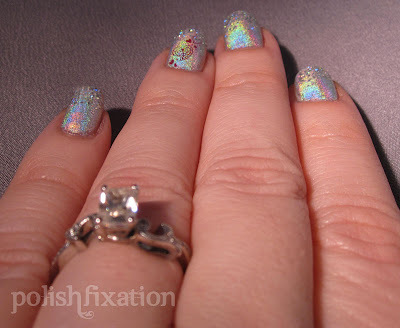 GOSH Holographic seemed very fitting, and then to make it super blingtastic, I sponged Nails Inc. Hatton Garden onto the tips. Lastly, added the red hearts to the ring finger with Konad plate m35. I will be back to regular manis, swatches, and reviews tomorrow but I just needed to share this news with you all because it's so exciting to me and I like sharing my life with you wonderful readers. Ahh! Congratulations! That's a great manicure to show off the ring. CONGRATS!!!! Your ring is gorgeous! Congrats to you! Lovely nails to go with that Gorgeous Ring! aweee how sweet! Congrats :) lovely ring and mani! Congrats!! 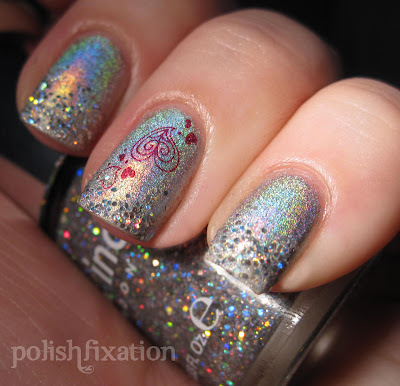 And the mani is simply gorgeous! Congrats! So exciting to plan a wedding! Pinterest has a LOT of gorgeous ideas if you haven't seen it already. Love the mani and the ring is beautiful! Congrats! So magical, just like your nails! Your nails (and ring) and gorgeous! 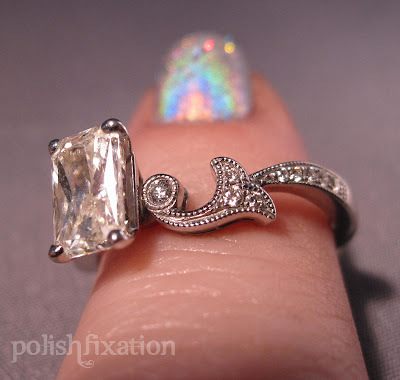 A beautiful mani to go along with a very beautiful ring! Congratulations again!!!! Congratulations! Love your ring and love your manicure :-) Happy times! Congratulations!!! :D Very pretty ring and mani! Hearitiest Congratulations!!! 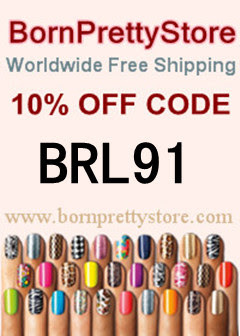 Luv the mani! its perfect! The nails AND the ring are gorgeous! Congrats! And I LOVE LOVE LOVE this ring! so uniquely beautiful! I love your ring, very vintage. Congrats and great mani! Congrats Erika! So glad to see you blogging again and that things are going well! Your engagement ring is absolutely gorgeous. My engagement ring is also an emerald cut and I would not change it for the world. Oh, my gosh the setting is so unique. You are a lucky girl.